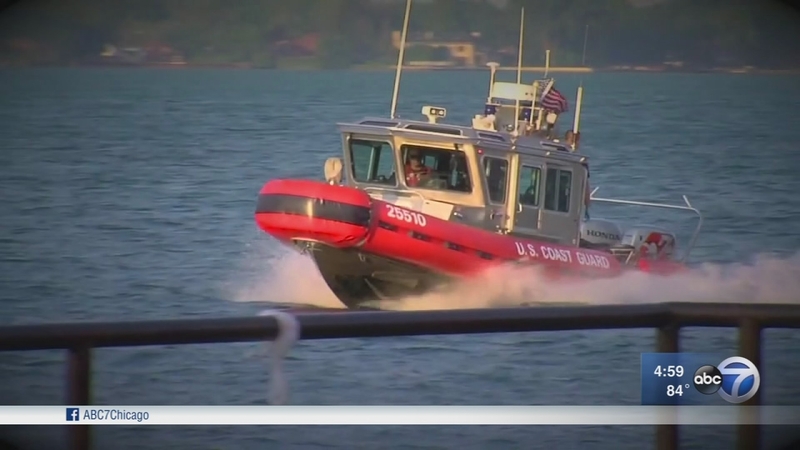 The number of fake distress calls on the Great Lakes is three times higher than last year, and the spike is endangering lives and costing thousands of dollars, according to the U.S. Coast Guard. Many of those calls are from children who aren't sure what they're doing and others are deliberate fake calls, officials said. In 2016, 55 calls were reported. So far this year, there have been 160. "If we launch to send resources to what might be a false distress case, now there's other mariners in actual distress who may not be able to get resources in time," said Matthew James, commanding office of the local Coast Guard station. Also, fake distress calls may put Coast Guard rescuers in harm's way. "On June 3, a distress call was made by a child in Chicago which prompted the Coast Guard to launch a boat and a helicopter crew from our air station in Waukegan. While the helicopter was getting airborne, it experienced a bird strike and had to conduct an emergency landing. Another helicopter had to launch before it was determined after two hours that the call was likely a false mayday," said Cmdr. Leanne Lusk, of the Coast Guard. A majority of the calls are coming from the Chicago area and are made by children who have access to their parent's radio, the Coast Guard said. As a result, the Coast Guard is asking parents and guardians to secure marine band radios from children and teach youngsters not to play on the radio - similar to the way we approach using 911 services, Lusk said. The punishment for making a fake distress call can be up to six months in jail and $250,000 in fines.